Axis in association with Beazer Partnerships, now Kier Partnerships, won the competition to create a new urban quarter for the Lyng. 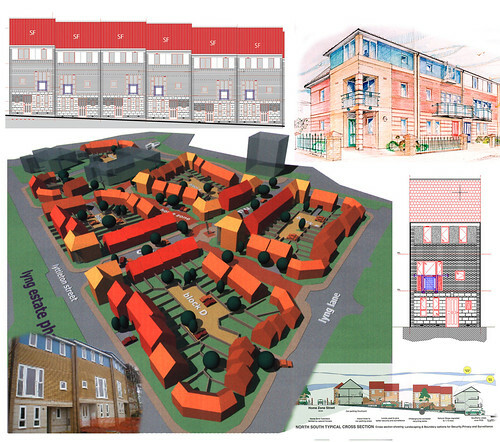 Working closely with the Lyng Community Association and Sandwell MBC the design evolved as a distinctive high density group of housing courts arranged within a street pattern of avenues and shared surface streets. 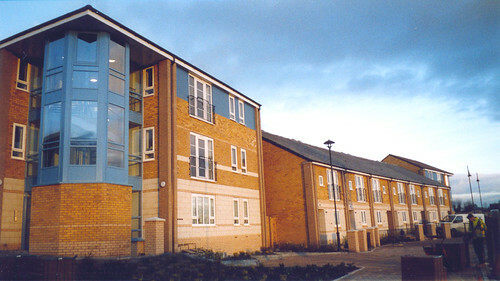 The appearance of the new Lyng was intended to be in contrast to its local context. 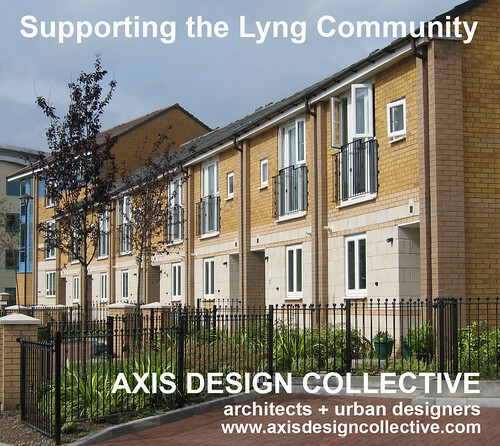 Axis invited the LCA to become involved in an attitude scaling process which was used to clearly establish whether the design proposals created by us were successfully interpreting local residents views about the metropolitan, high quality, urban housing image which they all wished to see. After two attempts at the process the perspective drawings were judged to be 85% successful across 12 attitude scales which included friendly/unfriendly, attractive/ugly, us/them and liked/disliked.